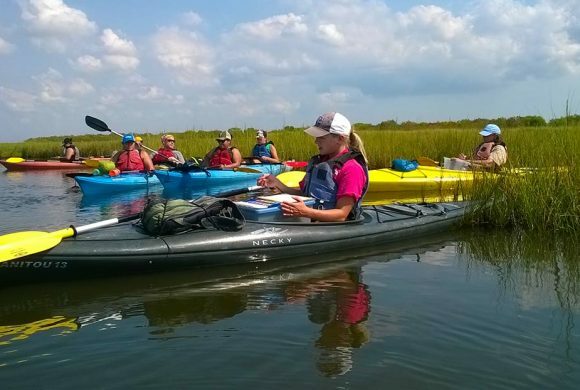 All our public adventures are guided and interpretive via kayak to places on Galveston Bay carefully chosen for their natural significance. All our lead guides are ACA certified kayak instructors and all are professionals with degrees in science or art. 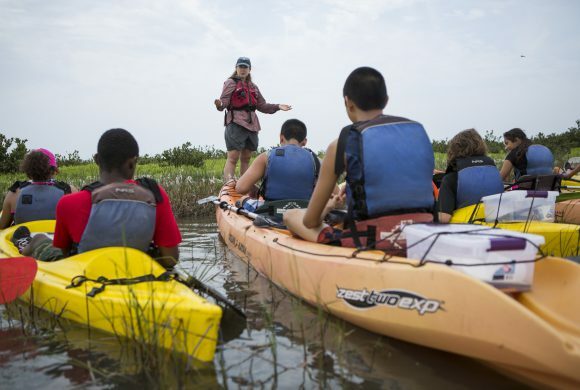 Most of our participants are beginners, so every adventure includes all equipment and begins with kayak instruction on land. All participants will be in tandem kayaks. Three and four hour adventures include a plein-air watercolor art experience. Two hour adventures do not include art. 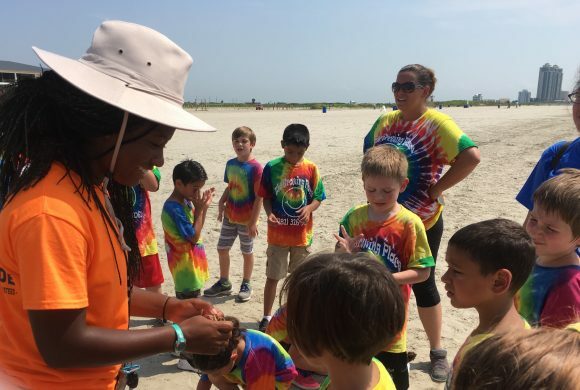 Popular with families, scouts and other larger groups that want to guarantee spot availability for their entire group, our Private Adventure programs are another great way to experience the turn-key benefits of our guided adventures. Artist Boat hosts Instructor Development Workshops (IDW) and Instructor Certification Exams (ICE) approved by the American Canoe Association (ACA). The workshops are designed to teach participants how to instruct others to paddle correctly, perform rescues, maneuver kayaks and practice essential kayaking techniques. 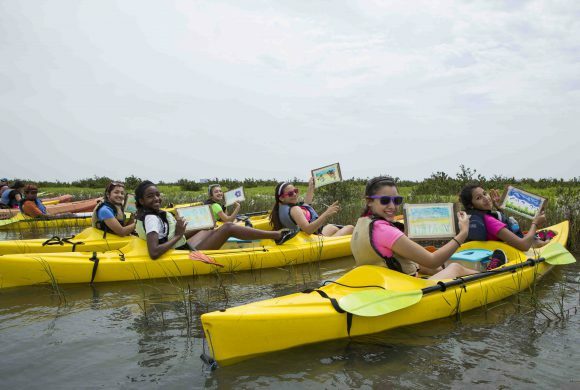 Upon successful completion, participants will have an ACA Instructor Certification and professional kayak training. 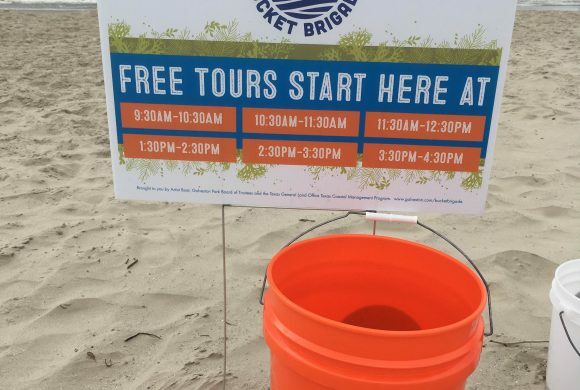 The Bucket Brigade, in conjunction with the Galveston Island Park Board of Trustees, provides free interpretive tours to beach-goers on Galveston Island. 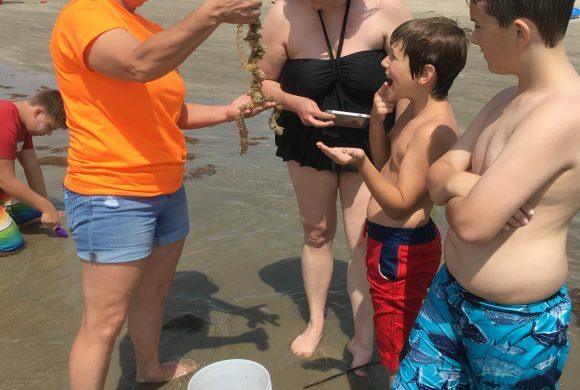 The Bucket Brigade’s goal is to increase public understanding of the positive role of sargassum and turbid water in our marine and coastal ecosystems. 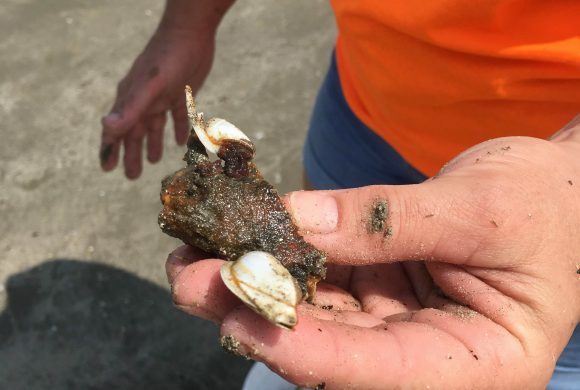 Bucket Brigade also highlights the impact we can all have on coastal ecosystems through marine debris and pollution, and has the potential to directly impact thousands of visitors including those from far away and right here in the Galveston Bay watershed. 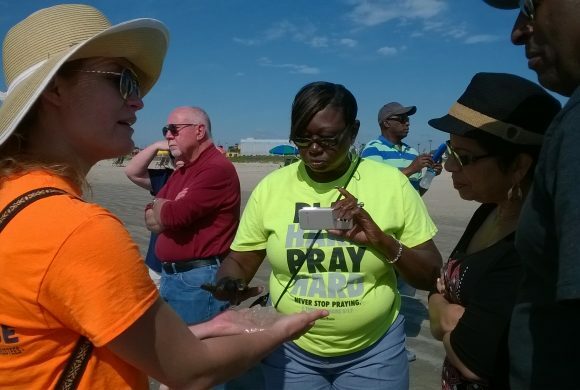 Bucket Brigade Volunteer Interpreters will help provide free interpretive tours of Galveston beaches to visitors. 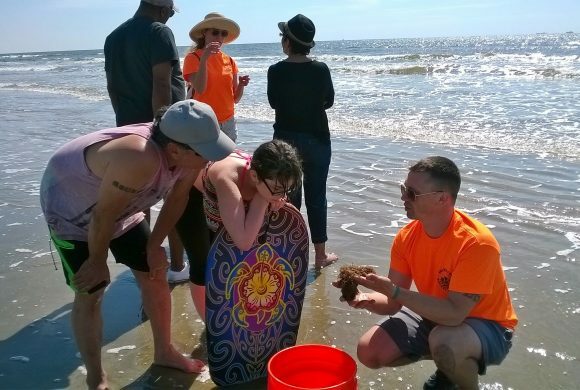 Share your passion about coastal and marine ecosystems by guiding visitors in exploring the creatures and features of Galveston beaches. Volunteer Interpreters sign up to lead a half day (3-hours) or a full day (6-hours) of tours after attending one of our Volunteer Interpreter Training Opportunities.